Weng Zaballa: Day 3- Where Should We Eat? Day 3- Where Should We Eat? Are tired and hungry as we go along our virtual journey??? Okay then, let me show you where my family and I usually dine together. My little one is a big fan of Jollibee, a fast-food chain restaurant that originated here in the Philippines. According to their website, Jollibee is a phenomenal success story that began as a two-branch ice cream parlor in 1975 offering hot meals and sandwiches and became incorporated in 1978 with seven outlets to explore the possibilities of a hamburger concept. 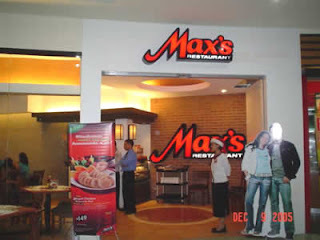 Thus was born the company that revolutionized fast food in the Philippines. 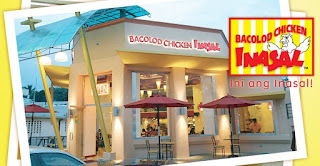 For casual dining I recommend the following: Bacolod Chicken Inasal, Max's Restaurant, and Pizza Hut. Moreover, we can also try several fine dining choices such as Dads, Via Mare, Casa Armas and Mexicali. These restaurants can be found at SM Megamall and Shangri-la Plaza. i miss max and jollibee. wala kasi yan dito sa east coast, sa california lang madami. 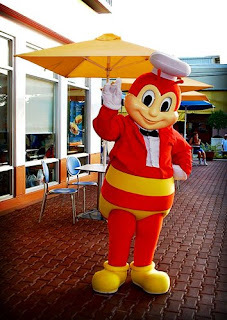 kailangan mo pa sumakay ng plane bago makatikim ng jollibee??? fave din ng kids ko ang jollibee, they would have to wait patiently for 2010 to get another yumburger :D and i love the restaurant of your choices esp max, that's where we always go everytime there's a special occasion, a family tradition. thanks for the visit, Raq!